I love the thought of going away. Seeing friends, having new experiences, taking in fresh scenery, enjoying a break from home and work routines. Finally a chance to exhale. But travel itself, especially when flying, is fun and draining at the same time. The packing. The security rigamorole. Timing airplane bathroom breaks appropriately. Not losing any of your stuff. There’s always some point along the way where I kind of wish I was home. Just an inkling of homesickness creeps in along the way. I miss my things–my husband (if he’s not with me, as on this current trip), our crazy pups, my own just-so pillows, a well-stocked refrigerator, ice on demand. I swear, I have an easier time deciding what clothes to pack than picking out which pens to bring. I always miss the ones that aren’t with me. I stock my Nock Co. Brasstown with more pens than a sane person needs, then typically swap things in and out until zero hour. There’s so much mental chatter in my head about my pen selections that it makes me feel like I must be going off the deep end. But what a deep end it is! Part of me wishes that I could embrace minimalism–pick ONE pen and use ONLY it for the entire trip. Maybe someday. Right now that thought gives me what is technically called the heebie jeebies. 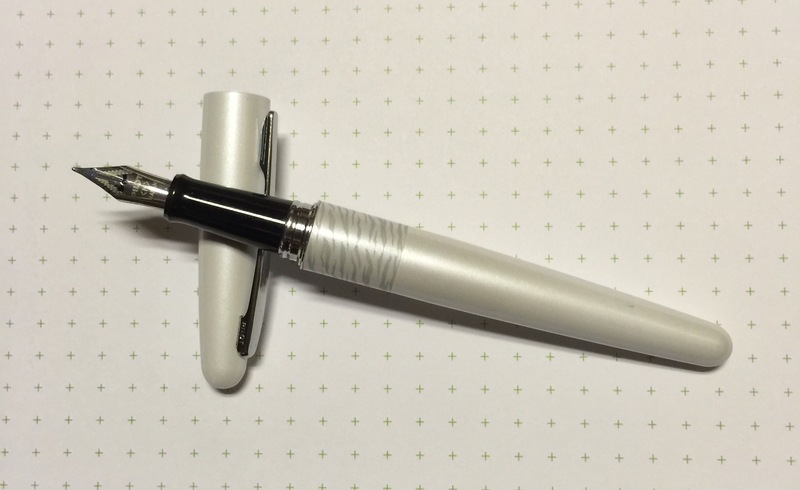 Pilot Metropolitan White Tiger fountain pen. Nice fine point for note taking. Replaceable should the unthinkable occur. Karas Kustoms Two-Tone Retrakt outfitted with Pilot G2 0.5 mm black refill. Great pen in my favorite color. Ti2 Techliner Red Alert and Orange Crush. 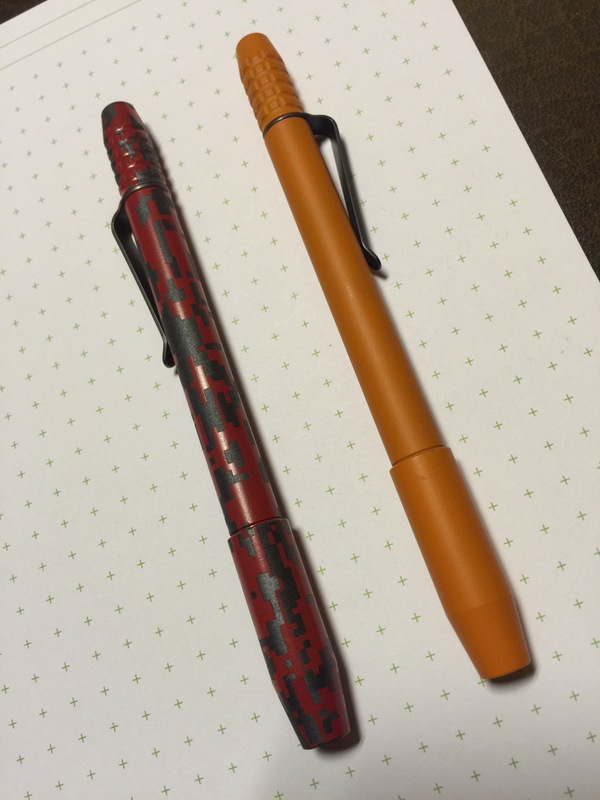 The Red Alert is outfitted with a uni-ball Jetstream 0.7 mm black ballpoint refill while the Orange Crush holds a uni-ball Signo 207 0.7 mm gel refill…both excellent options. 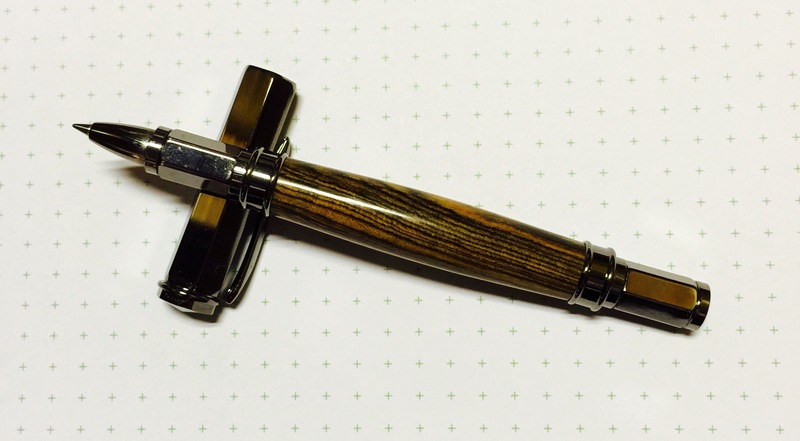 Amy Grigg’s Apex Kickstarter pen with a Schneider Topball 850 rollerball refill. Great on the Levenger Circa Vivacious paper in my notebook. Smooth. Dark. Gorgeous wood. 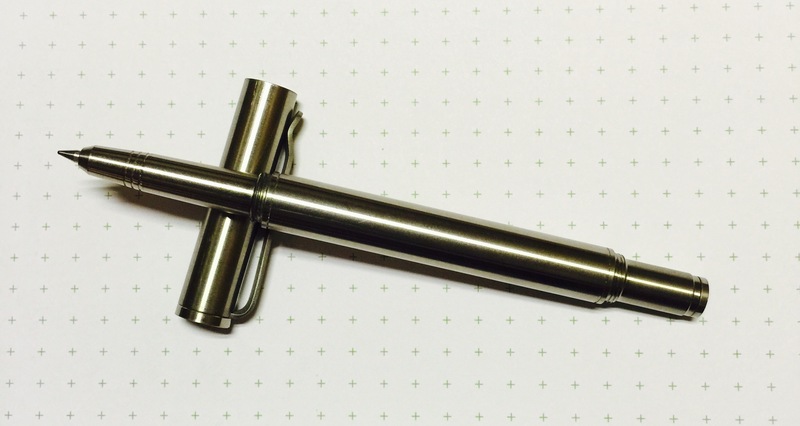 Bigidesign’s Ti Post Raw Pen + Stylus, also with the Schneider Topball 850 rollerball refill. Do I need to carry two pens with the same refill? Nope. I never said any of this was reasonable. Retro 1951 Lift-Off with a Schimdt P8126 refill. It’s my newest Retro so why shouldn’t it travel with me to California? I also have my Lamy Scribble tucked into the Hightower, should I need to do pencily things. I have not tired of this mechanical pencil. It’s a gem. There’s no need to carry this many pens across the country. Technically I could survive with a few of the Bic Stic Queen Mary pens the hotel provides. 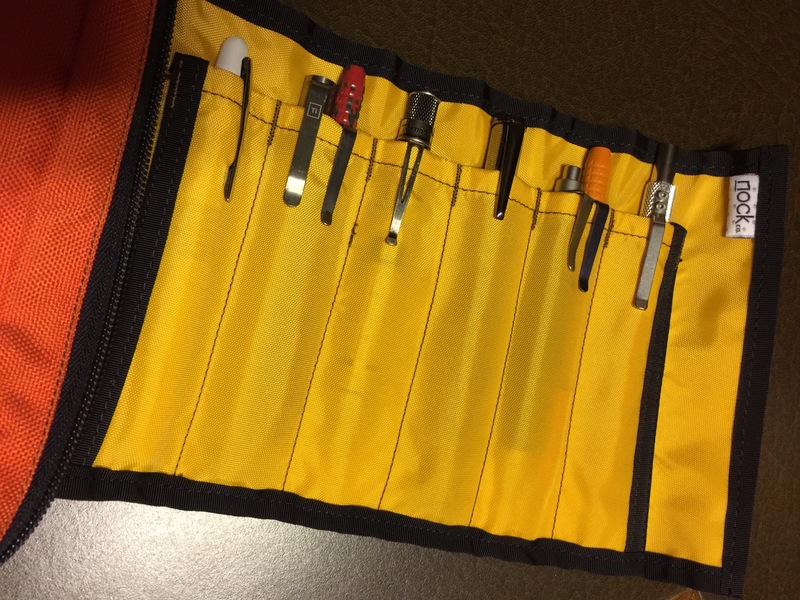 But these pens and pencil (and pen case) make me feel secure. They’re unique, well-made, and reliable–comfortable to hold and top-notch performers. They remind me of the connections I have with the folks who make and sell them. We’ve exchanged everything from brief messages to emails to long letters. Pens aren’t just pens. They’re the people behind the pens. And that feels like home. This post was composed and photographed entirely with my iPhone, so excuse the lack of links (too cumbersome) and any formatting and lighting oddities. Fun fact– the photos were taken on the desk President Eisenhower used while aboard the Queen Mary. I’m sharing his suite with a friend. Pretty cool. I have a pretty short attention span when it comes to pens— using a favorite for awhile, then moving on to something different/newer/shinier. Later on, I re-discover the old favorite and bring it back into the pen fold. So there’s always been a pretty decent turnover rate in my day-to-day pen usage. I just can’t get enough of these four favorites. 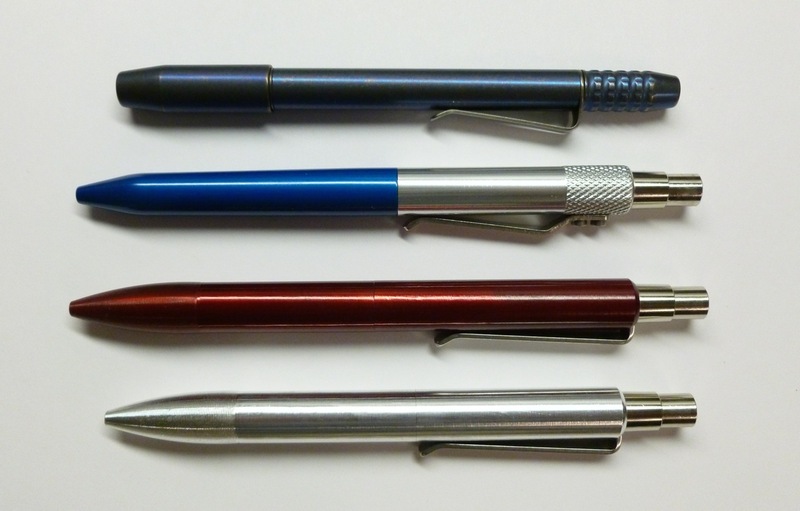 Throughout the course of a week (or day…or hour), I find opportunities to use all of these exceptionally well-made machined pens. I cart them to and from work, journal with them, fill out my datebook(s), and make grocery lists. The Ti2 Techliner Shorty (Gonzodized finish) by Ti2 Design is the newest of the bunch and features neodymium magnets, as well as an unconventional nosecone, that make this pen extra fascinating. With an Uni-ball Signo UMR-85N 0.5 mm black refill installed, this has become my go-to Field Notes pen for tracking work and home to-dos. This stunning and classic looking two-tone Retrakt, by Karas Kustoms, arrived in November, and I immediately outfitted it with a Pilot Juice 0.38 mm blue-black refill. 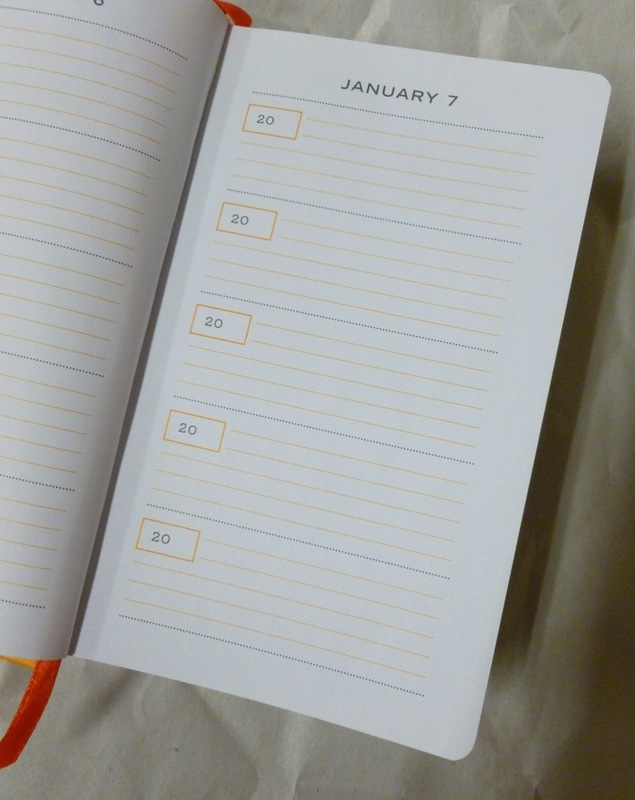 The line is super sharp— perfect for jotting down appointments and making entries in my One Line A Day journal. Killer looks, killer performance. Plus knurling. Cannot resist the knurling. I’ve been using my TactileTurn Mover and Shaker pens since they arrived following Will Hodges’ successful Kickstarter campaign. I should’ve reviewed these long ago, but they’re so good and trouble-free that I almost take them for granted. I’m currently using a Pilot G2 0.38 mm black refill in the Mover (top/red), and a 0.5 mm black Moleskine refill in the Shaker (bottom/raw aluminum). When I’m in the mood for a ballpoint, I swap a Parker-style Schmidt EasyFlow 9000 into the Shaker. They’re rock solid, with a finely grooved grip section for interest and texture. 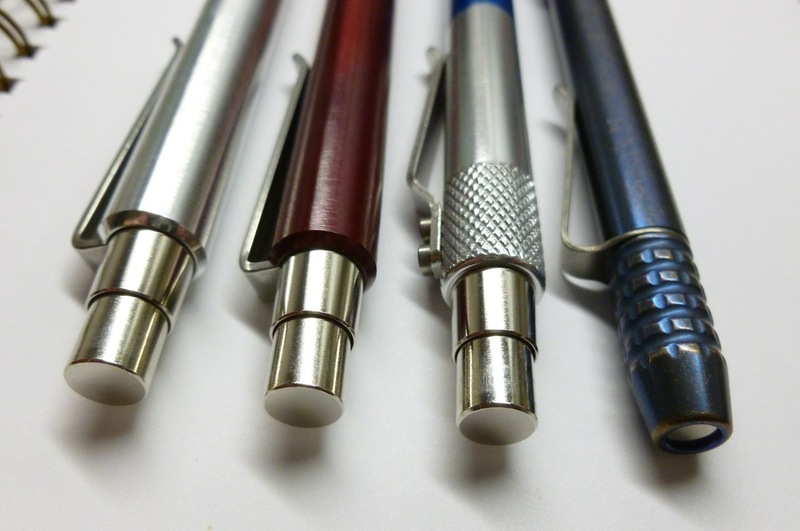 Each of these pens deserves its own review, and I promise to do so in the near future. But for now, I just wanted to heap some praise where praise is due— on Mike Bond of Ti2 Design, Dan Bishop of Karas Kustoms, and Will Hodges of TactileTurn. They’ve all run successful and well-managed Kickstarter projects and continue to turn out pens that exemplify attention to detail and good old quality workmanship. And they’re all really nice guys. Four favorites. Four pens I just can’t put down. I purchased all of four pens with my very own allowance. 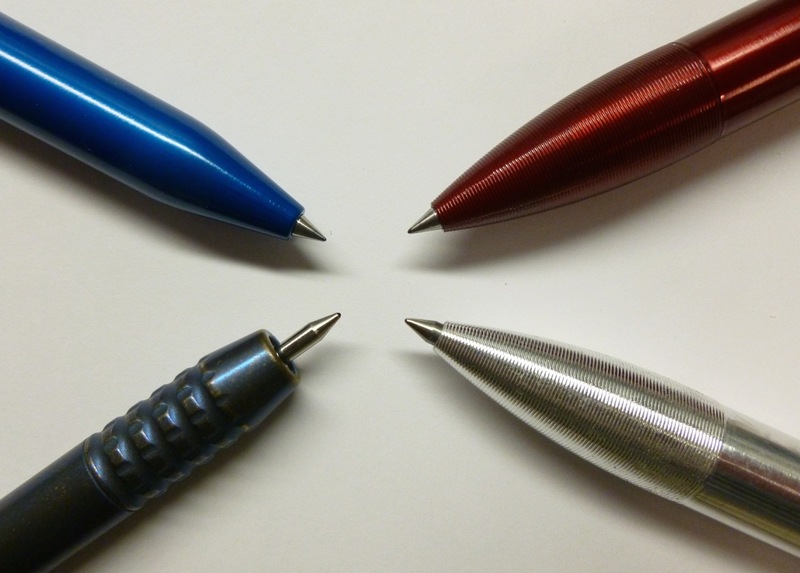 There are no affiliate links in this post, just happy pen smiles. 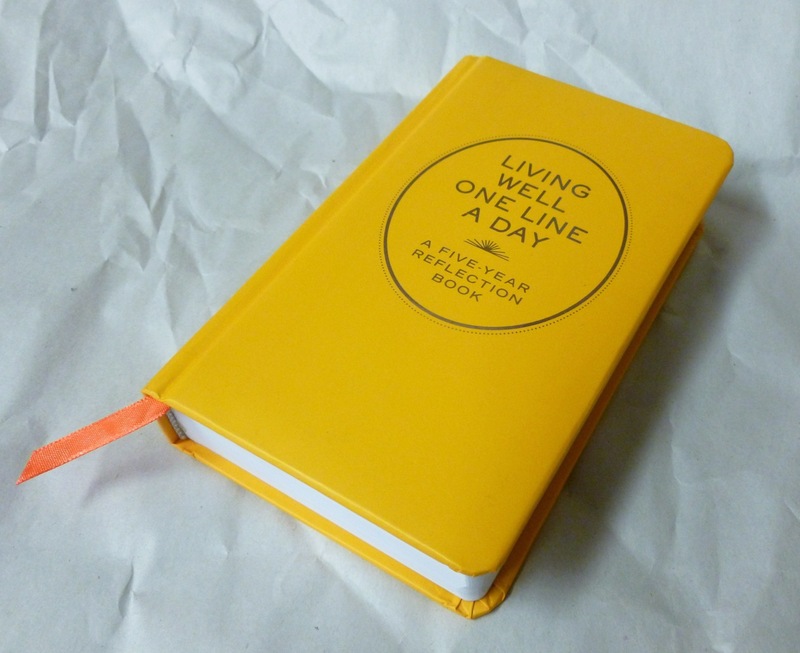 I was ready to buy the original One Line A Day blue version when my eyes fell on this taxi yellow Living Well version. I had to have the yellow because a) the weather has been SO bleak and gray and the yellow reminds me of the sun and warmth and hope; b) the orange ribbon is…well…orange. Bright and cheery. 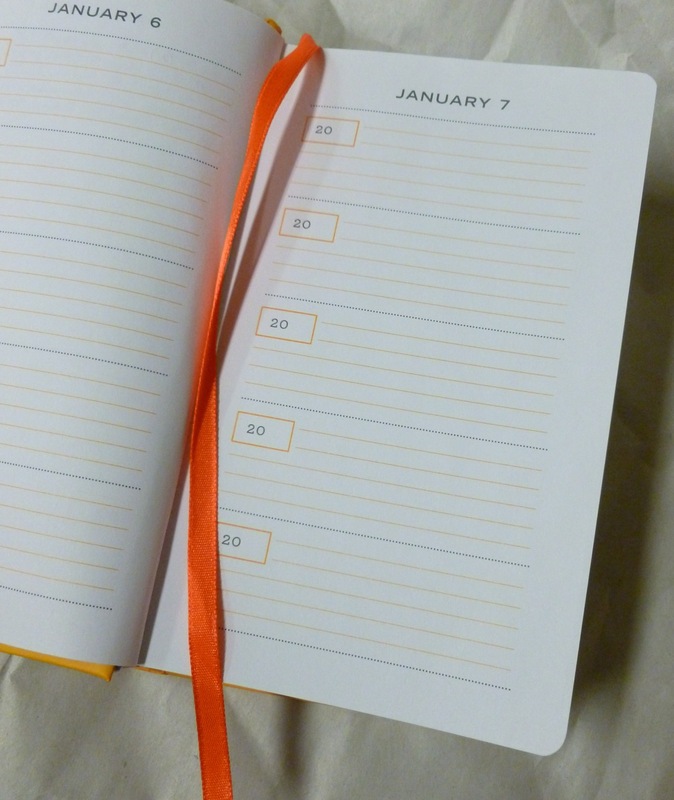 If I can’t have the sun, a yellow notebook with a vibrant orange ribbon will have to do. Every little bit of brightness helps when you’re trudging around in snow and wind and bitter cold. The non-color reason I wanted this is that it’s a five-year journal, meaning that there’s one page for each day of the year, with space for entries over the course of five years. 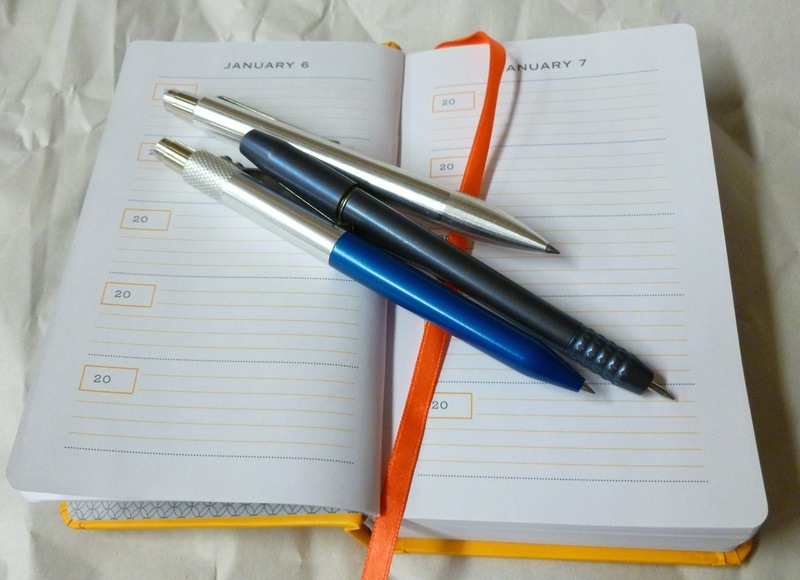 So, for example, I’ll write an entry for January 1, 2015 through 2019, all on one page. Whether it’s the weather or my mood or what I had for dinner, ultimately, I’ll be able to read about a specific day over the span of five years. I’ll be able to see where I made progress and where I didn’t, where I was grateful and where I was whining, where I succeeded and where I stumbled. It should make for interesting reading five years down the road. 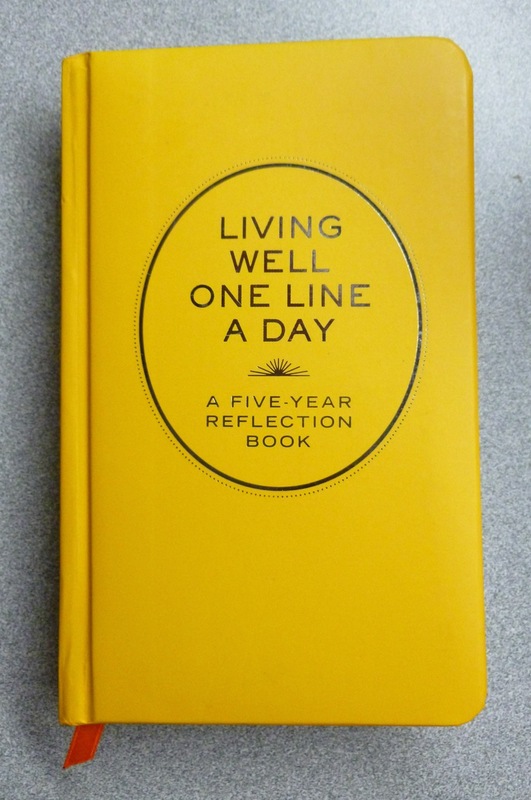 Because my journaling (brief and repeated attempts) always seems to devolve into a basic “we did this” and “we did that” monotony, I was particularly pleased to see a page and half of writing prompts at the front of this book. I want this to be more than just a daily record of chores, errands, and day-to-day minutiae. I’d like to dig a little deeper. But how? What do I write about? 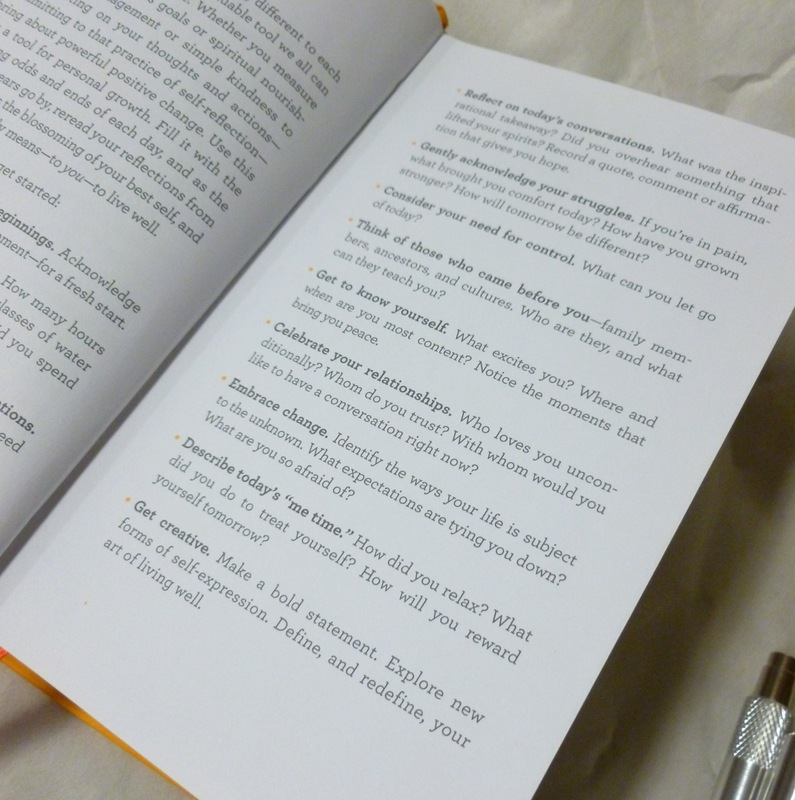 Well, the book suggests a number of things, from “What excites you?” to “What are you afraid of?” to “How will you reward yourself tomorrow?” You can track exercise, sleep, glasses of water— any kind of habit. The prompts are nice because they give you a gentle nudge when you’re stuck. When I’M stuck. 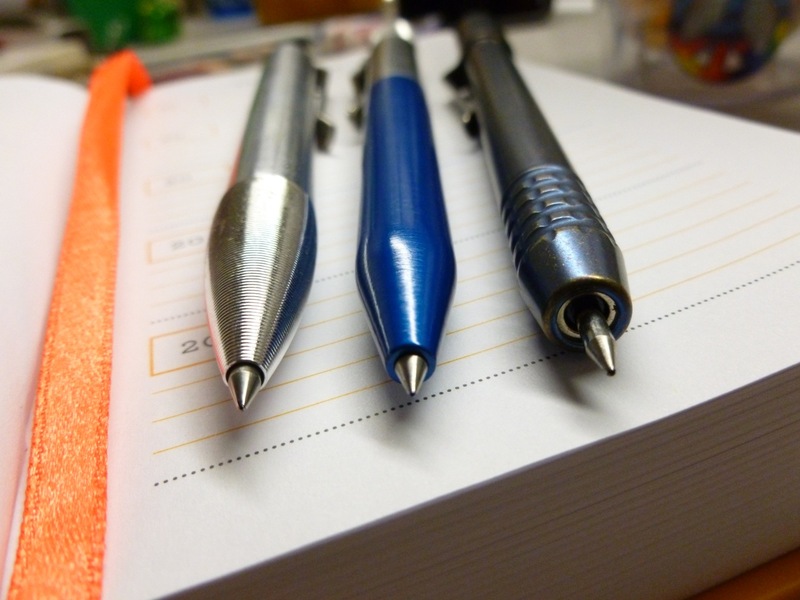 The journal is small— just 6″ x 4.5″ inches so you have to be brief and/or write quite small. I tried this before with a larger format journal and petered out after a year or two as the missed days started piling up. I think the fact this book is smaller, and thus more portable, will make it easier for me to keep up with my entries. At over an inch thick, it’s not pocketable, but fits fine in my Levenger messenger bag so taking it along is not a problem. Plus, I REALLY want to keep this one going. Five days in and all is well. Just a line or two and I’m done. In order to keep my writing small and precise, I’ve selected three favorite machined pens to use in this book— the TactileTurn Shaker with a black 0.5 mm Moleskine gel refill, the Ti2 Techliner, by Ti2 Design, with a 0.5 mm Signo UMR-85N black refill, and the Karas Kustoms Retrakt outfitted with a 0.38 mm Pilot Juice blue-black refill. All lay down neat, clean, and crisp lines, and are a joy to hold and use (reviews forthcoming). 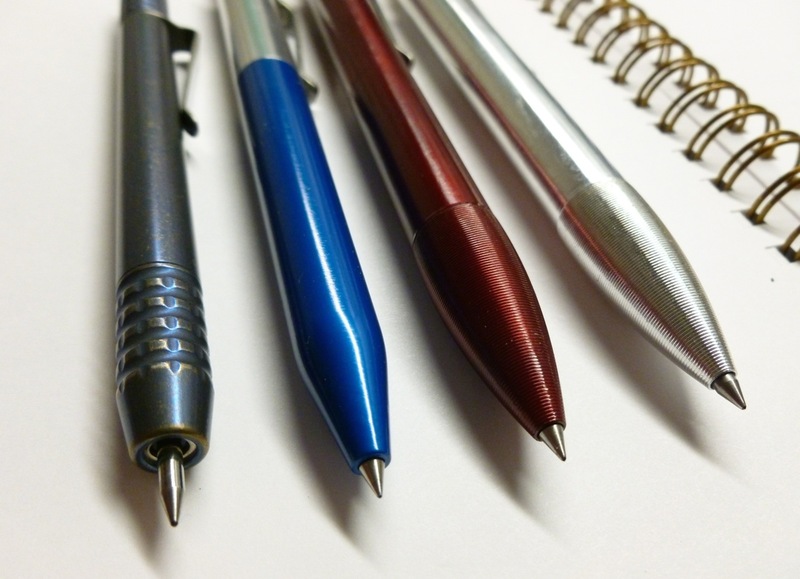 That’s key— journaling with a pen you enjoy. I’m not really one to make resolutions (we can see how well the “don’t buy any new notebooks” one went), but I HAVE resolved to stick with this journal. FOR FIVE YEARS. Hold me to that, okay?! Note: There are no affiliate links in this post. I just wanted to point you in the direction of some favorite goods.